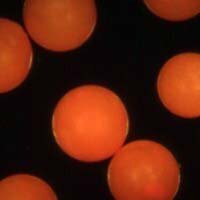 We define microspheres as spherical particles greater than 1micron and smaller than 1000micron (or 1mm) in diameter. 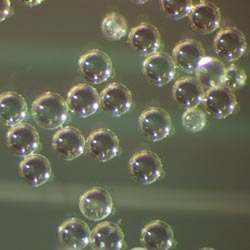 Microspheres with diameters between 1micron and 10micron are larger than nanospheres, but on the bottom edge of microsphere particle sizes, and, therefore, we put them in their own Fine microspheres category. 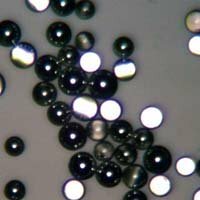 What are different grades of microspheres? 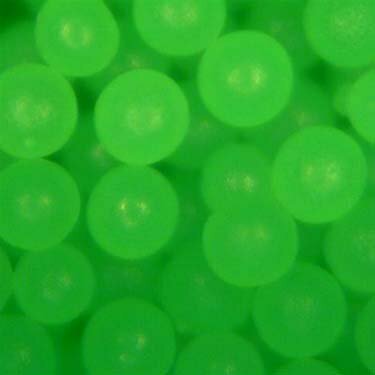 We offer microspheres in various grades, defined by their particle size distribution. 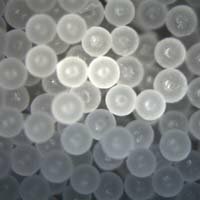 The tighter the particle size requirements, the more monodisperse the distribution, the smaller the tolerances, the more precise the microspheres, which also typically makes them more expensive. 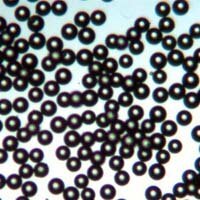 If the particle size distribution is wider, and the tolerances are larger, the diameter of each microsphere might fall into a larger range, which makes the product more economical. 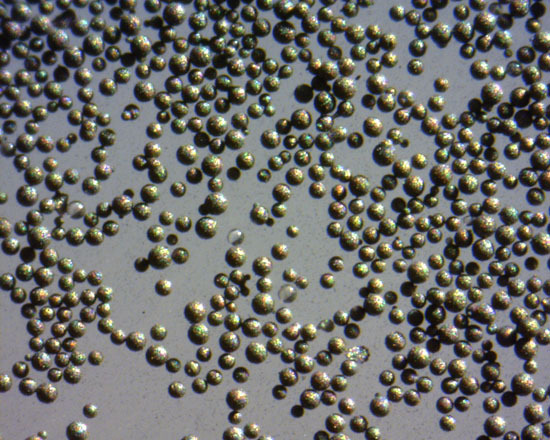 We arbitrarily divided microspheres in three grades: Spacer/Calibration/Monodisperse Grade, Classified Grade, and Bulk Grade. 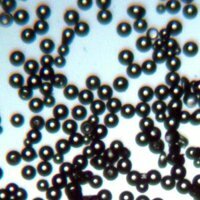 What are spacer microspheres? 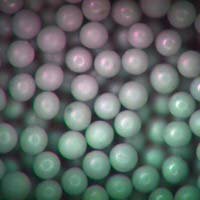 What are monodisperse microspheres? 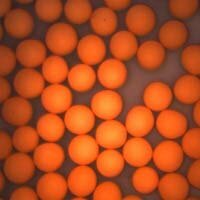 Spacer or Calibration grade, also known as Monodisperse Microspheres, is the most precise grade we offer. 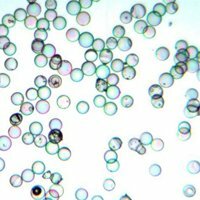 In this grade of microparticles greater than 95% of individual microspheres have the diameter that falls within the defined particle size (diameter) range. 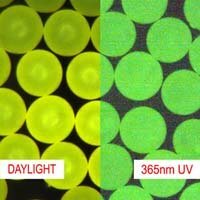 This is the most expensive grade due to the extensive processing time and intensive quality control process involved in manufacturing of this grade of product. 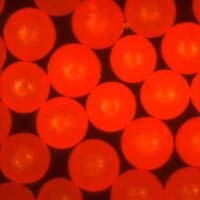 Spacer spheres are invaluable for applications where precise bondline thickness and gap control are paramount. 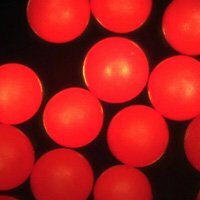 What does "classified microspheres" mean? 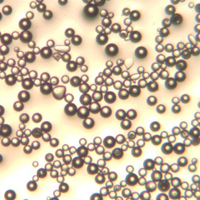 Classified grade microspheres means that greater than 90% of microspheres are guaranteed to fall between the lower and upper diameter limits as specified. 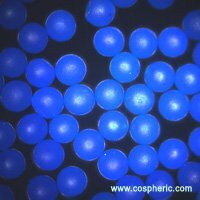 Most of Cospheric's products are produced in classified grade. It is a happy medium and a compromise between quality and price, for those applications that can tolerate some distribution of diameters. The lower and upper diameter parameters are clearly defined. 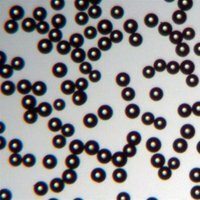 What are bulk grade microspheres? 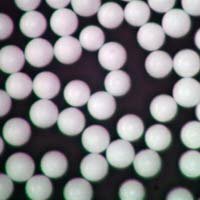 Bulk grades of microspheres have the lowest requirements and typically a much wider range of diameters, which are defined individually for each product and might vary from product to product. 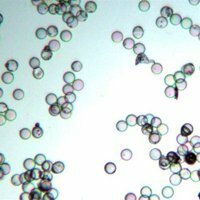 This is the most economical option for applications where the exact microsphere diameter is not critical. 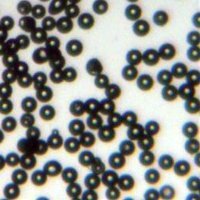 Polystyrene Microspheres 1.07g/cc - highly spherical thermoplastic biocompatible microparticles.